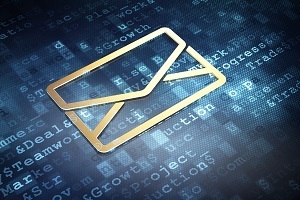 Why Aren’t Your Email Campaigns Performing? Let’s Solve the Mystery! A lot of effort goes into a successful email campaign, whether it’s a one-time offer or an ongoing newsletter. You can come up with ideas, write great content, stick it all in a template, and send it out to your list, but still not get the results you’re looking for. Why? Are you scratching your head trying to figure out why your email campaigns never seem to pan out? Below, you’ll find six email marketing problems that we see fly under the radar of even the most tenacious marketers. 1. Your signup forms or landing pages don’t work right. You can put together an engaging email campaign that looks great on the screen, but it won’t you do you any good if people can’t sign up for it or end up on a landing page that is hard to use. Too often, we see people send out great emails that perform poorly because the links, buttons, forms, and pages at the beginning and end of the process don’t work as intended. Before you blame your emails, try going through the entire email process on your own, as though you are a potential client. Is it easy to subscribe or unsubscribe? If you click on a link in the email, does the page you land on look good? Does your contact form work? Is it clear what you’re supposed to do? 2. Your emails don’t have clear goals or calls to action. If you’re going to reach out to someone’s inbox with your marketing, you should have a good reason—and you need to let your audience in on what that is. Don’t try to sell everything you have to offer at once. That’s just confusing. Instead, focus on more specific goals. Do you want people to download your free book? Do you want them to “like” your Facebook page or visit a certain landing page? Always use clear calls to action in your emails that motivate people to reach out and leave no doubt about what the next step is. 3. You send the same email to accomplish different goals. It’s a rare email campaign that is one-size-fits-all. Instead, think about your different target audiences and what you hope to accomplish. You don’t necessarily have the same goals when you reach out to a potential client versus an active client. The same email won’t necessarily be effective for people interested in different kinds of services you offer. Instead, make sure that the content of your emails speaks directly to the recipient and goal. 4.You don’t look at the emails you send. If some people on your list are receiving emails that aren’t formatted properly, read poorly, or don’t work on mobile, it will definitely affect the effectiveness of your campaign. If your emails are going out with typos and mismatched images or subject lines, then it will affect how people see your brand. You can’t take an email back after it is sent out, so edit and proofread carefully. Try opening your emails with different browsers and devices, and see how they look. Need help? Check out the Advanced Email Editor in DSS to put together customized emails that look great on desktop or mobile. 5. Your emails aren’t valuable to the people who open them. Always write your email content with the reader in mind. 6. You don’t test or review data. Are you sending emails too often or not often enough? Are people more likely to open your emails in the morning or at night? Is your header image more effective in blue or orange? With email marketing, it’s fairly easy to test nearly every aspect of your email campaigns, from color to content. It’s also fairly easy to review basic data, like click-throughs, opt-outs, and opens. If you aren’t testing your email campaigns and reviewing the hard data, then there is no way for you know how you’re doing or how to do better. Do you need help building more effective drip campaigns, email blasts, and newsletters for your perfect clients? Reach out to our digital marketing experts at 888-886-0939 with your questions, or sign up for a free demonstration of the email marketing solutions built into DSS.